Would you like more information? Please leave your contact details and we'll be in contact with you shortly! 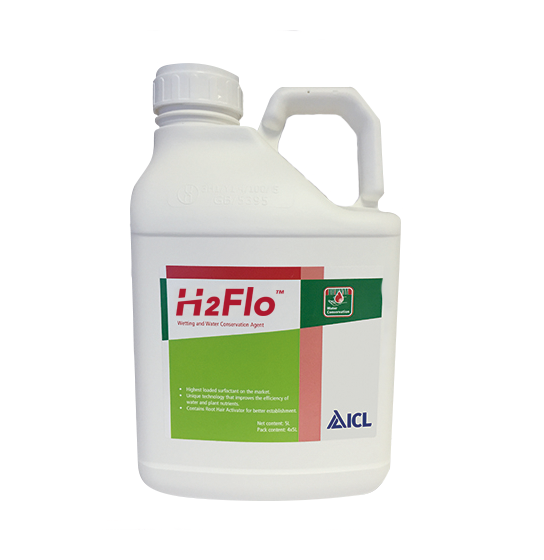 H2Flo is a blend of surfactants that reduce the surface tension of irrigation water, so water can penetrate the soil by spreading across the soil particles. Mixing H2Flo with your irrigation water allows you to reduce irrigation by up to 25%! This results in savings on your irrigation costs in terms of both water usage and pumping, without reduction in yield. 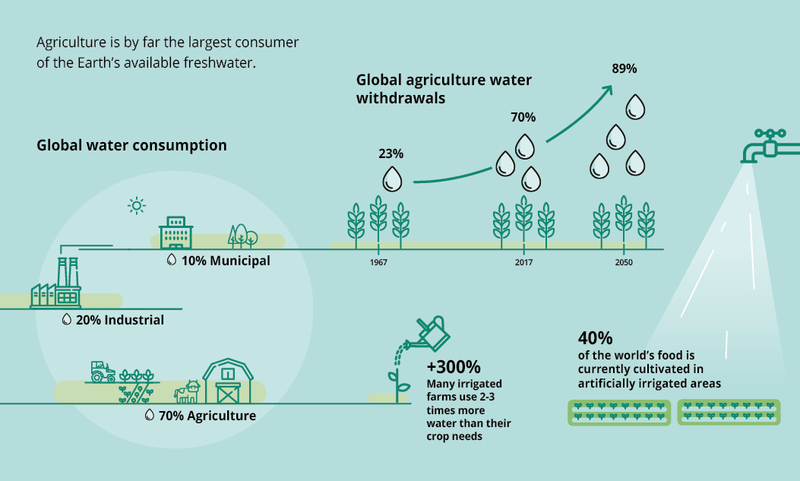 Saving water also has a huge environmental benefit and contributes to more sustainable growing practices. In areas where water use is not a limiting factor, H2Flo has even shown significant yield increases when applied as part of the standard watering regime. Click on the infographic to read the working principles and benefits of H2Flo.